Located in Mt. 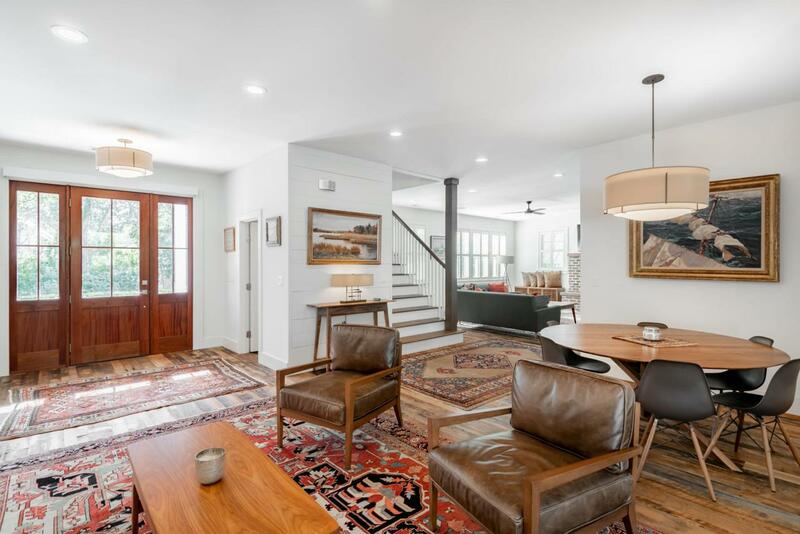 Pleasant's historic Old Village, this newly built home blends seamlessly into the constitution of the neighborhood while offering upscale finishes, a thoughtfully designed floor plan and a private backyard complete with a pool. The location is also ideal. 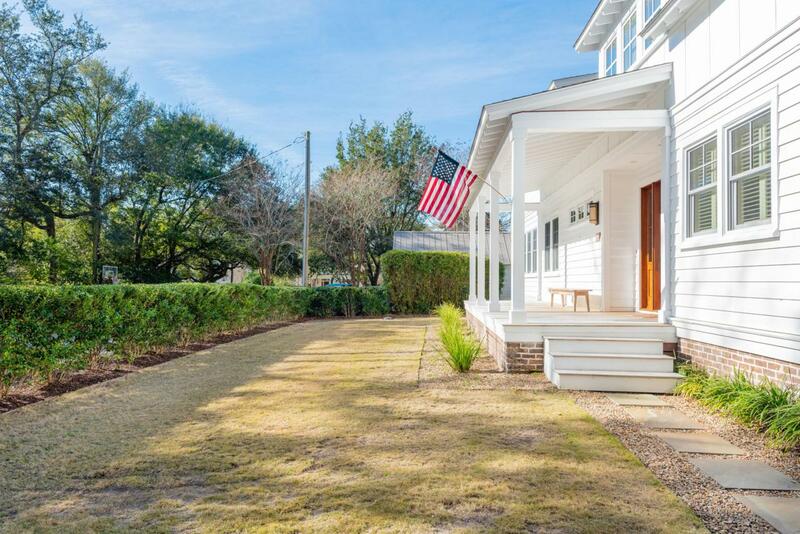 Old Village shops, parks and restaurants are just a short walk away, while Sullivan's Island beaches and downtown Charleston are just a short car ride. 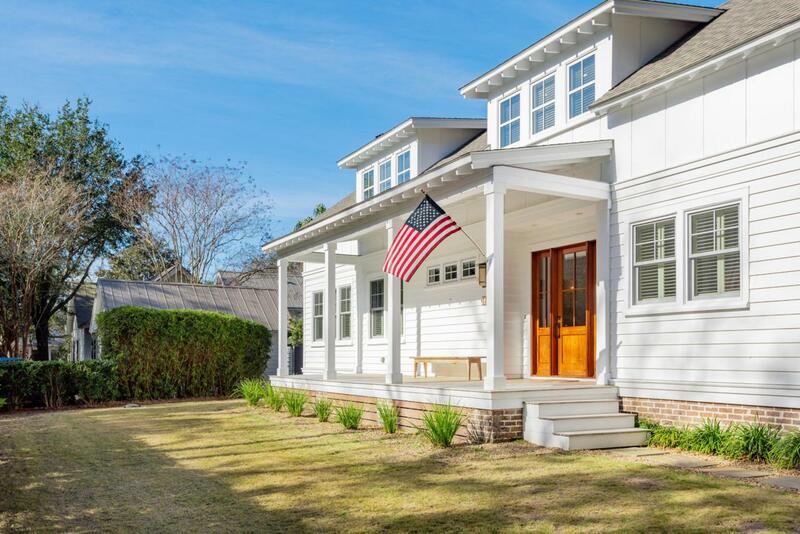 The two-story home is set back from the street, with a full front porch and mature landscaping to provide privacy. Inside, the first floor has an open floor plan where the living room, sitting room, dining area and kitchen all flow together, creating a cohesive space for everyday living or entertaining. Hardwood floors, shiplap accents, tall ceilings and recessedlights are some of the many features you will find throughout the house. The stunning kitchen is anchored by a butcher-block topped center island and further accented by open wood shelves, stone counters, white custom cabinetry, high-end stainless appliances and shiplap walls. There is also a walk-in pantry, complete with custom shelving. The kitchen opens to the sitting room and dining area which offer views of the backyard living spaces. Just beyond these rooms is the spacious living room, which has multiple windows overlooking the front yard as well as a brick fireplace. The master bedroom suite is located downstairs. The private bedroom has access to the screened porch, while the en suite bath is elegantly appointed with dual vanities, a soaking tub and a marble shower. There is also a walk-in closet with custom shelving. The home's remaining three bedrooms are located on the second floor, along with a sitting area that is tucked into the upstairs hall. Each of the bedrooms features an en suite bath with a marble shower and a walk-in closet. The laundry room is located on this floor along with a bonus room which could be used as an office, media room or fifth bedroom. Designed for outdoor living, the fenced backyard features a screened porch, a pergola-covered dining patio with a wood-burning grill and a central brick courtyard. The highlight of the space is the dark-bottom pool which is surrounded by a wood deck and lush landscaping. There is also a detached one car garage with a finished room and half bath that is currently being used as an office. 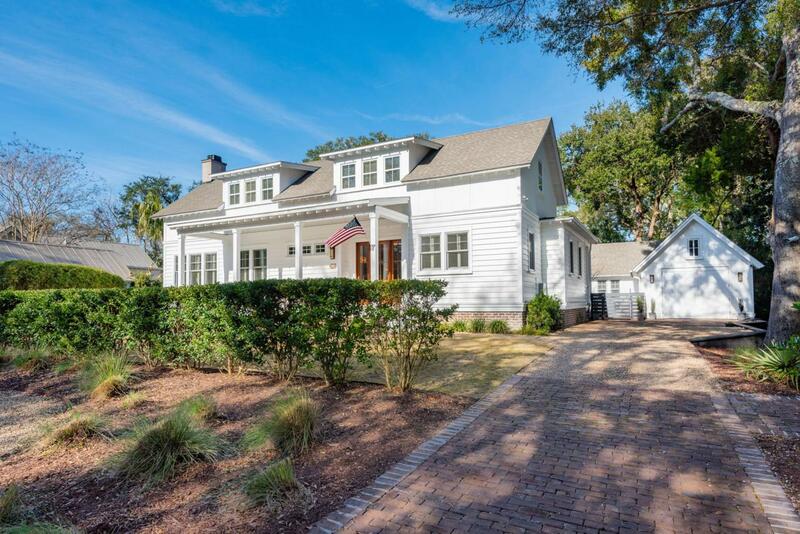 Real estate listing marked with the CTMLS logo or an abbreviated logo are provided courtesy of the Charleston Trident MLS Broker Reciprocity Database. IDX information is provided exclusively for consumers' personal, non-commercial use and may not be used for any purpose other than to identify prospective properties consumers may be interested in purchasing. Information is deemed reliable but is not guaranteed accurate by the MLS or The Cassina Group, LLC. Data last updated: 2019-04-22T19:32:27.79.